Every Monday evening 6:00 pm - 7:00 pm, Kids (7-14 years old) Ballroom and Latin Dance Lessons! If you like to join class, please click here to pre-register, pay on site. All kids (boys and girls) ages 7-14 are welcome! Please join our regular evening group dance lessons at 7:00 pm every Wednesday, Thursday and Saturday! Private lessons are available for appointment! 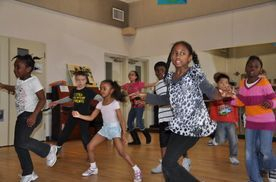 Ballroom & Latin Dance Club offers ballroom & Latin dance lessons for children ages 7 to 13. Girls and boys are welcome! This is an easy, fun, creative environment. We will teach basic ballroom dance steps, dance rhythms, dance etiquette, and popular dances such as Rumba, Salsa, Tango, Cha-cha, Merengue, Waltze, Foxtrot, East Swing, West Swing, Samba, etc. No partner needed. 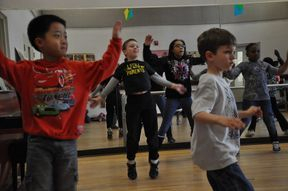 Plus, we will choreograph performances, plan some activities to promote creative ability and confidence. If you have any questions, please send message to us, thanks! We also offer private lessons for kids, please check Private lessons for details.